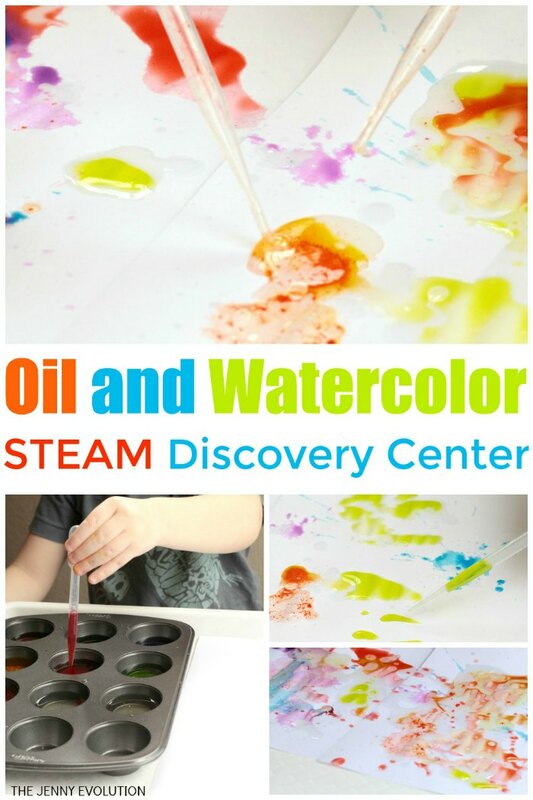 As we adults know, oil and water do not mix, but young kids will be amazed and delighted at the discovery. 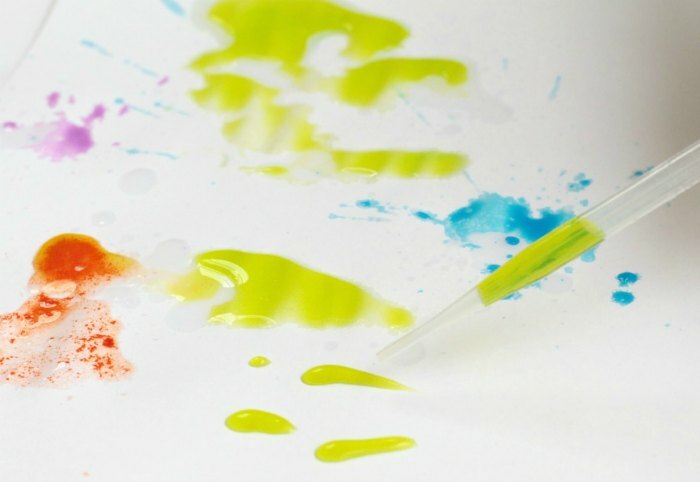 Transform this basic scientific discovery into art when you use watercolors instead of clear water for an enlightening oil and water experiment! Scientific understanding starts with the very basic of discoveries. 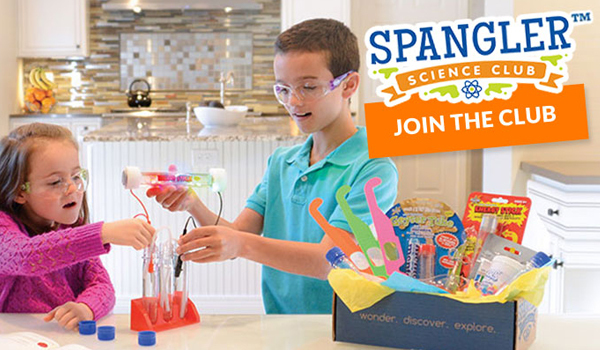 STEAM education at the earliest level focuses on exploring, discovering and having fun with science. 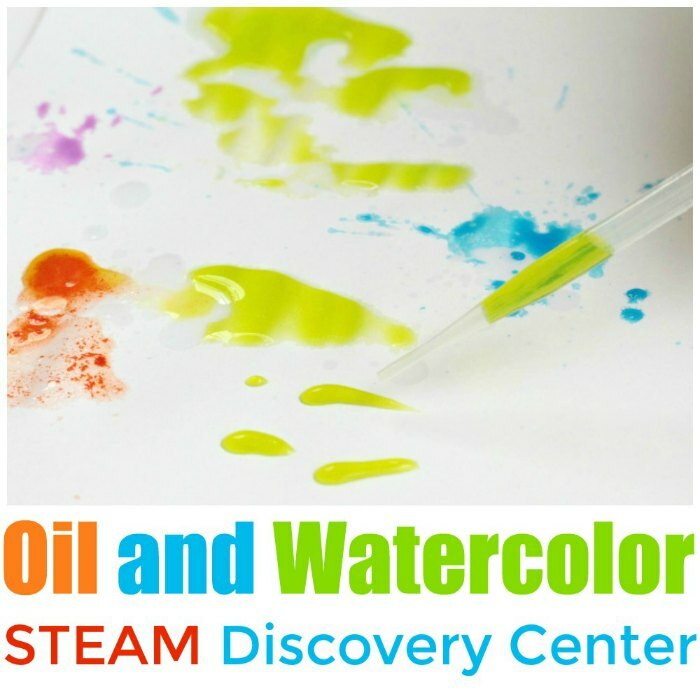 Follow these tips to build your ownSTEAM discovery center with a oil and watercolor experiment! Before you invite kids to the discovery center, you’ll need to set it up first. Add a small amount of watercolor and water to each muffin cup (leaving 2 muffin cups open for oil). Add oil to the remaining muffin cups. 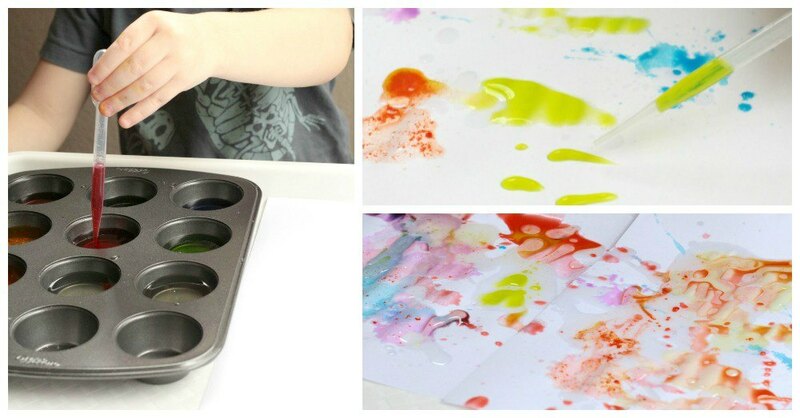 Place the muffin pan and the watercolor paper inside of a tray. This will keep the mess (more) contained and you will wish you had used a tray if you try to do this without one. My kids quickly added a bunch of water to the paper, which would have created a disaster without the tray. 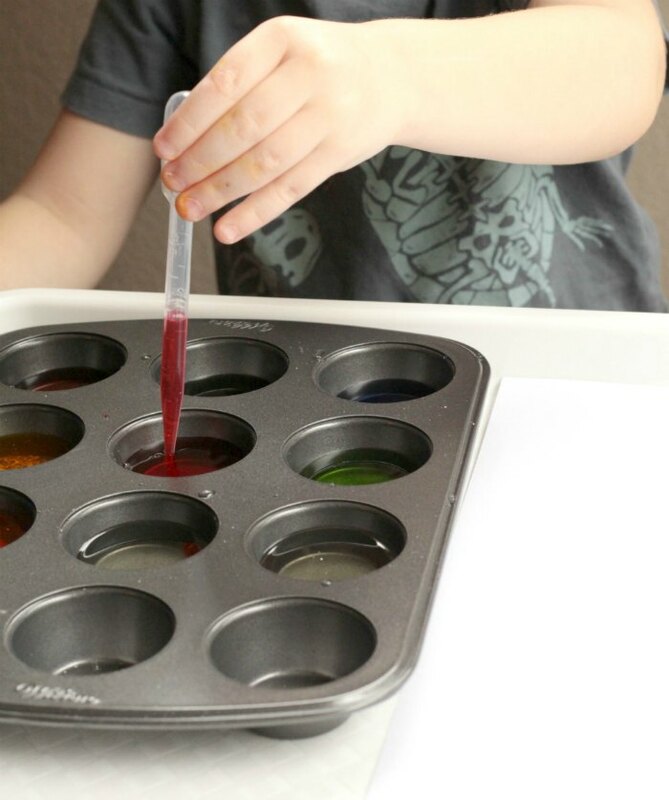 Instruct the kids to pick up a small amount of oil with their pipette and squeeze it onto the tray. Pick up a bit of colored water and drop it on top of the oil. Ask the kids to observe what happens to the oil and water. When they push each other away, a painting is made! 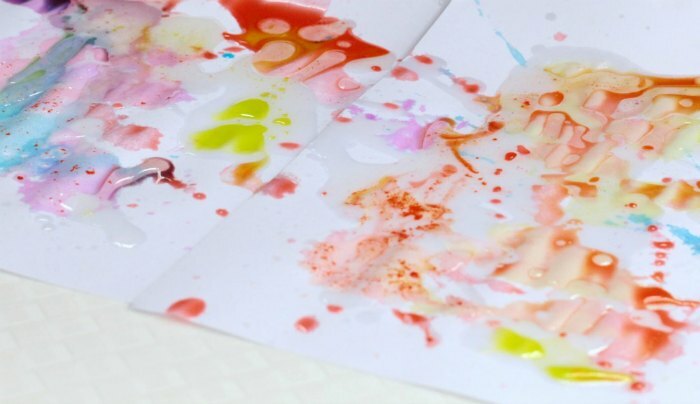 My kids repeated their experiments with various colors and more oil until their papers were just about soaked through. We set them aside to dry. 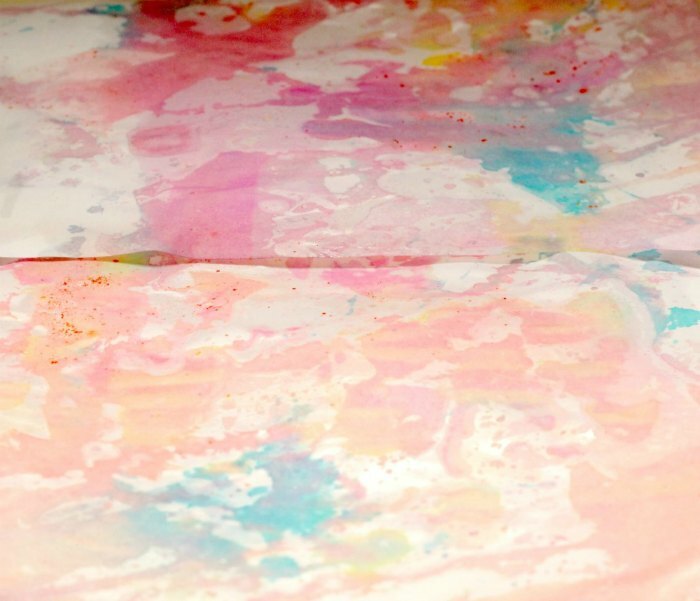 When the papers were dry, a beautiful, pastel rainbow was left on the page. 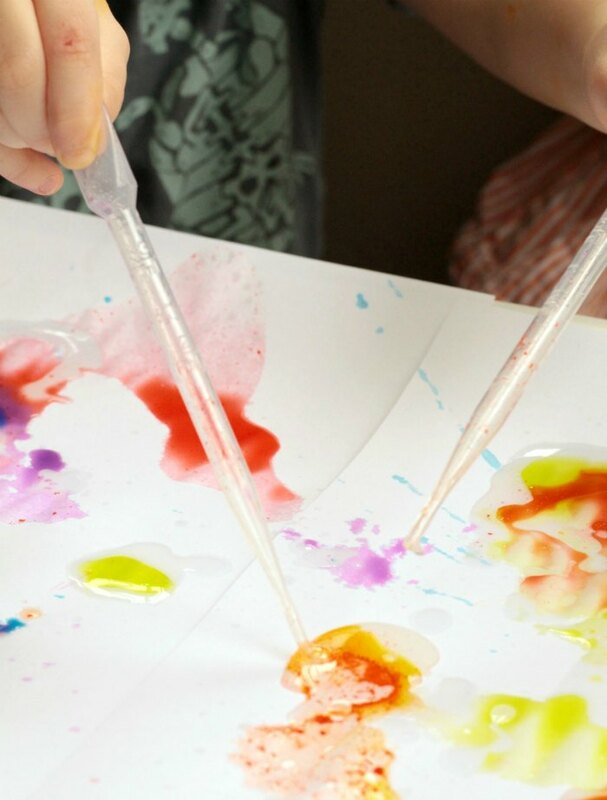 The kids were absolutely delighted with how their science experiment turned into art. The oil and water pushing against each other had a dramatic effect on the final results of the art, which was quite impressive for the kids. 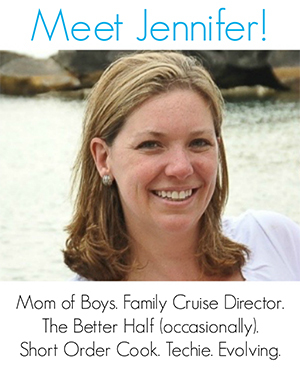 Find more fun kid activities on The Jenny Evolution! This is an awesome idea! I put coconut oil in my son’s bath the other night and he was fascinated how it floated on top. This is the perfect activity to explore more! This looks so fun! And I think I have all the supplies that we need to give this a try! Thanks for sharing 🙂 Pinned for later!